I know it's a little late for new ideas, but this cake is so easy that it will take you maybe an hour to complete. It's not hard... just repetitive. And it only takes two icing tips and three colors... if you count white as a color. *Note: This would be even easier to do if you use canned icing for the "hair" and tubes of icing for the white and black! 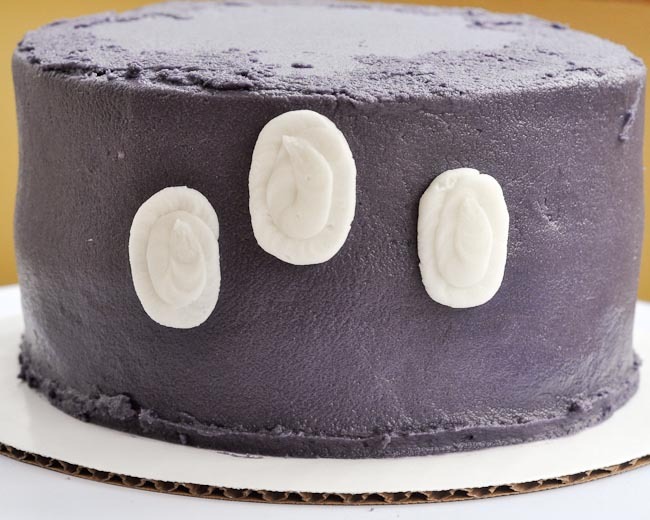 I started by icing the cake smooth with purple icing. Then, I added the whites of the eyes. Using Tip #233, add hair/fur all over. 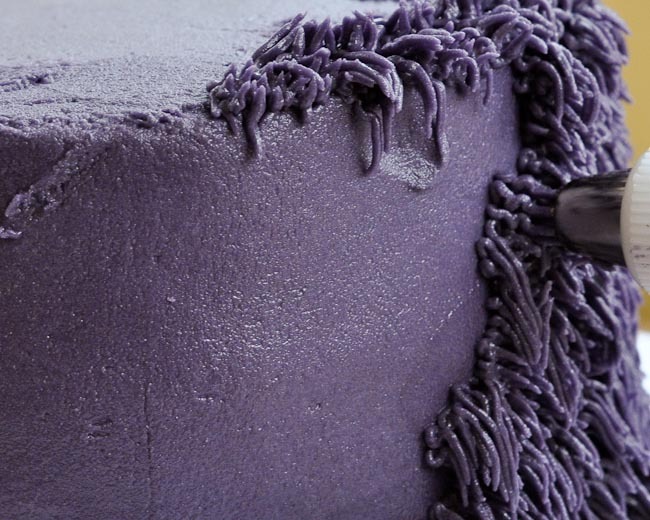 Remember to start with the tip touching the icing of the cake, squeeze while pulling straight away from the surface of the cake. The further you pull away from the cake, the longer and scragglier the hair will be. Add the pupils and a line or circle or whatever for a mouth, and voila! 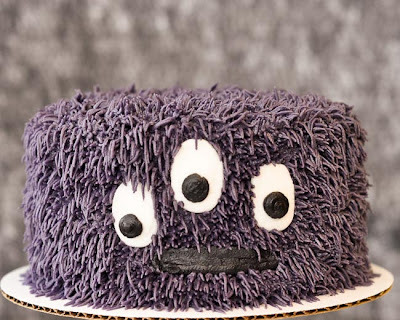 SUPER Easy Monster Cake. 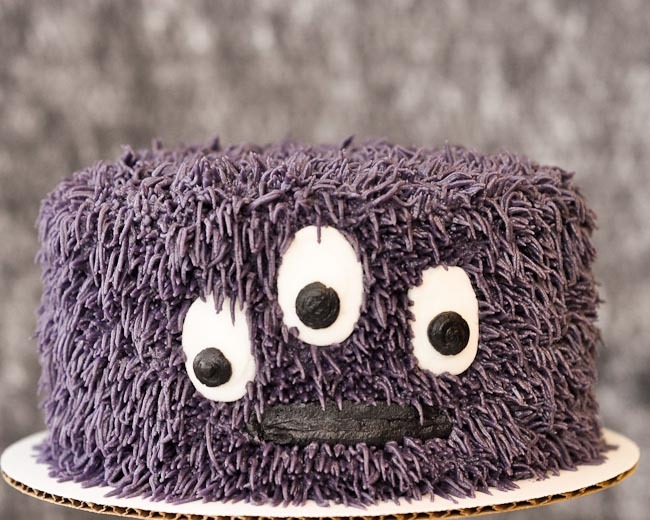 I am a sucker for Monster cakes!! I love this guy! His eyes are perfect and he is an awesome color!!! I can see doing this like "beaker" from the muppets with the same kinds of tufts of hair. You make it look easy. 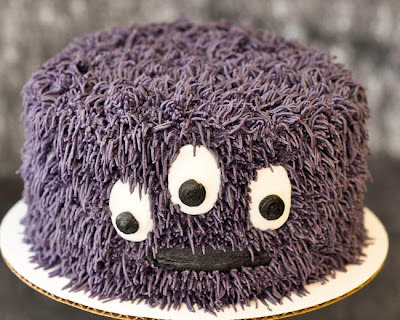 That would be awesome with a three-layer 6" round cake!! what tip do you use for the fur? How did you make the discs for the eyes? Totally new to this!